The first thing that popped into my mind was the late Heavy D's rap in Michael Jackson's 'JAM'. "Slam Jam, here comes the man, hot damn..." of course this collaboration had nothing to do with Michael Jackson nor Heavy D, but that song was the $#!t back in 1992, and of course, another MJ was in the video, The G.O.A.T, Michael Jordan. 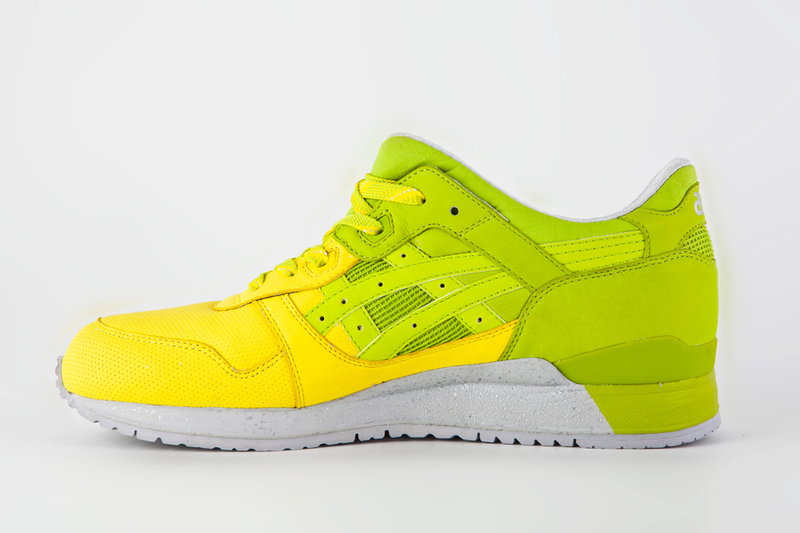 But back to this Slam Jam collaboration with Asics that produced this lemon and lime goodness of the ASICS GEL Lyte III. 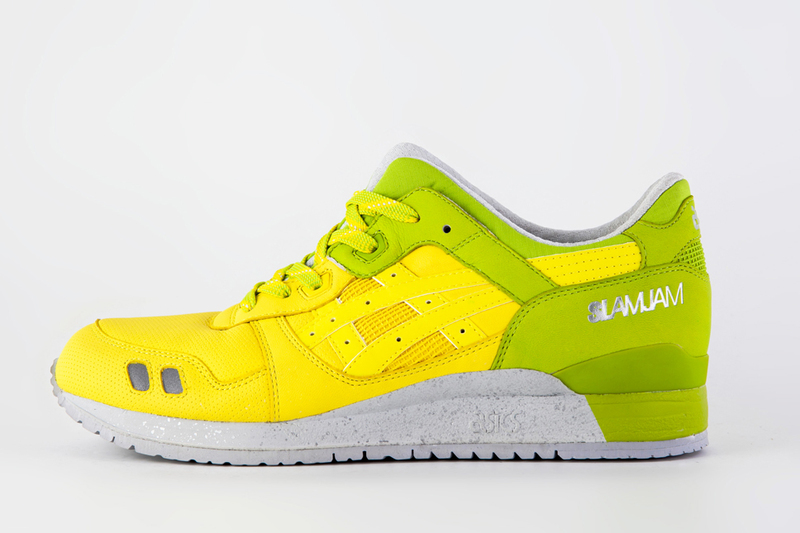 This special ASICS Gel Lyte III X Slam Jam will be introduced January 19th 2013 exclusively at Slam Jam, followed by a global release on the 26th of January 2013. 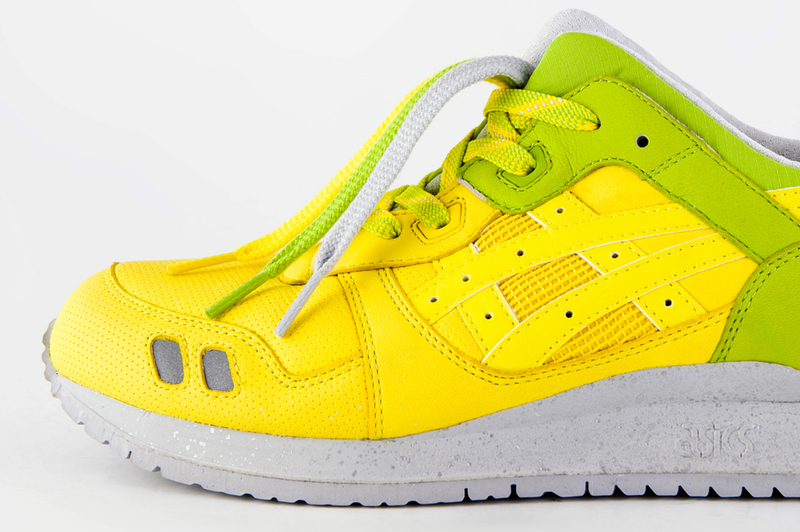 This edition features custom yellow and lime perforated premium leather for the upper, a rip stop split-toe and an all grey mid-sole with translucent silver spray. 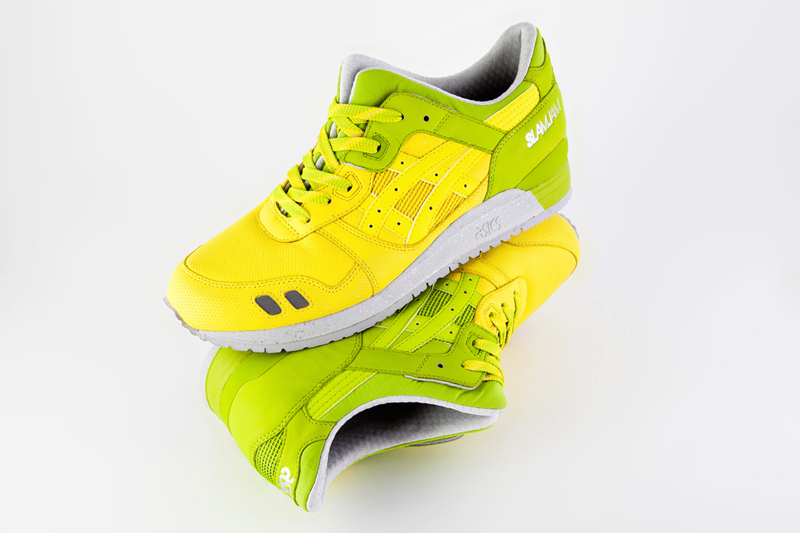 Multi-coloured laces are mounted, and 3 extra pairs will be included in the box: green, yellow and grey. 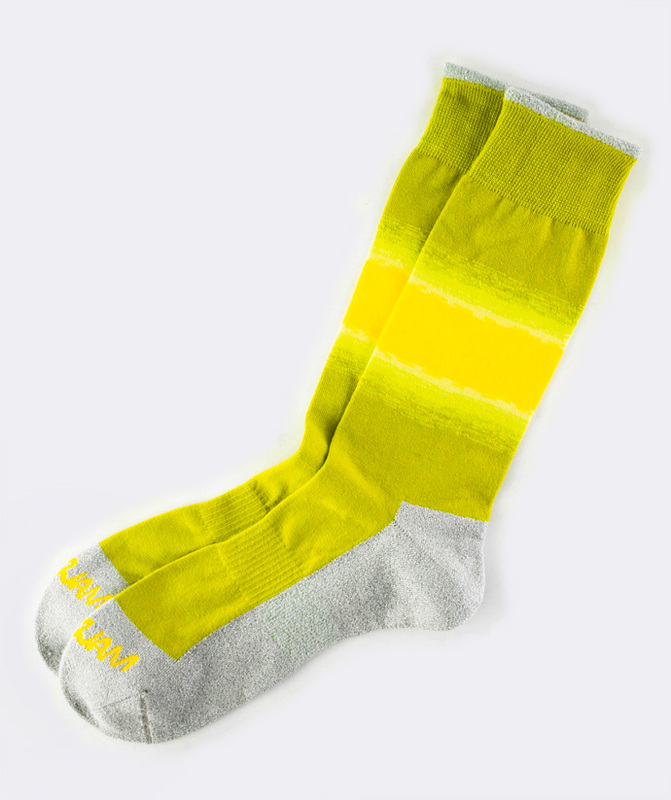 Last but not least, a pair of ‘made in Italy’ Slam Jam socks (lime-yellow /silver lurex) will be the exclusive cherry on top. 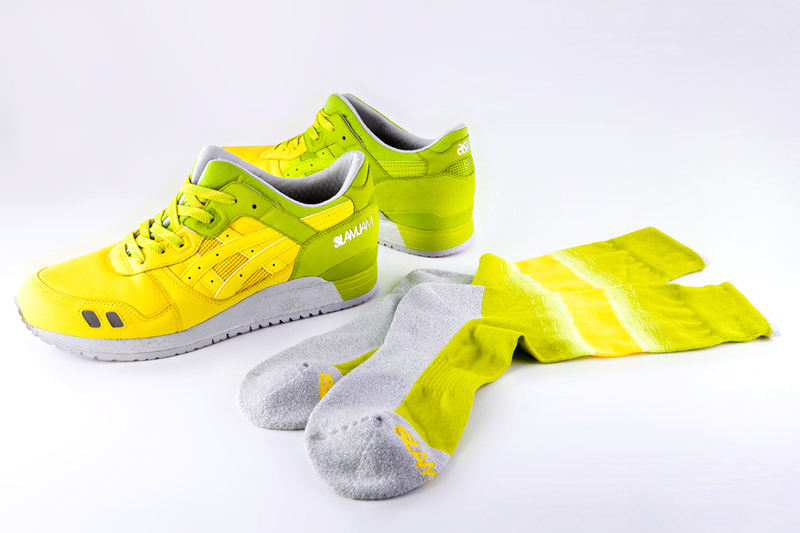 Socks are exclusively available at Slam Jam (Milano and Ferrara).